Incredible Comments – King James Only? Readers of this debate blog will be aware of the position by some influential KJV Onlyists that the Septuagint is a post-Christian creation. Some say it didn’t exist before Origen. Others are more nuanced and say that we can’t know if the Septuagint as an entity existed before that time. The rationale for this tactic is to avoid the implications of the New Testament’s prolific use of the Septuagint. John Owen and Jerome and others are put forth as defendants for a position which claims that the New Testament shaped the creation of the Septuagint, and scribes amended the LXX to conform to the NT. While I would agree that an entire monolithic Septuagint was not to be found, I would nevertheless say that there is plenty of evidence for multiple translations of the Old Testament into Greek. The variations between the Greek editions themselves, and between them and the New Testament quotations, point toward an inescapable conclusion. Some harmonization by the New Testament’s influence may have happened, but by and large, the New Testament unmistakably leans heavily on the Septuagint. All this is agreed on, I believe, by most scholars today. In fact we recently had a reader leave an insightful comment as he was baffled by our defense of a pre-Origen LXX. Since the comment may have been missed by our readers, and since it is worthy of repetition, I thought I’d share it here. I tend not to use the KJV as I prefer to use a Hebrew OT and a Greek NT. For English translations my favourite is the KJV for its beauty – so please don’t react to what I have to say with any assumption that I must be some sort of KJV hater – I’m not. May I suggest that many of the blog posters spend less time arguing, less time quoting whatever popular apologetic works they have read as “proof” that they are right when the popular apologetic works are usually badly researched – and spend serious time actually reading and researching the topics – I’ve spent the last 25+ years researching early biblical manuscripts, and work as a theological librarian in an academic institution. I’m also an evangelical Protestant Christian – I might even be described as a fundamentalist! 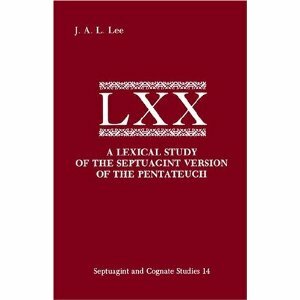 I have just read the blog posts about the Septuagint – it contains some incredibly stupid comments about no early Septuagint manuscripts, and none among the Dead Sea Scrolls. Please feel free to share the following with your blog posters. Early Septuagint – pre-dating the third century A.D.
1. MS 89 of P.Foud 266 – remains of 24 chapters from Genesis and Deuteronomy, mid 1st century BC. So we have 29 manuscripts of which 20 are unquestionably 2nd century or earlier. What does Jack the Ripper have to do with the King James Bible? Well, apparently he represents judgment on those of us who abandoned that old faithful translation of generations past. In 1881 the Revised Version came out and met with widespread approval. So seven years later, in 1888, 5 women faced a gruesome death at the heads of a maniac dubbed Jack the Ripper. Who’d have known this was retribution for abandoning the King James Bible? Here’s the comment we received right here yesterday which alleges this very thing, that Jack the Ripper was judgment on Britain for abandoning the King James Bible. Now of course, the 2001 ESV is to blame for America’s tragic terror incident of 911. But we could turn the tables on the KJB. In 1607 the translation work for the KJB was being done in earnest. That’s also the year that the England’s Bristol Channel flooded, killing over 2,000 people. (That’s a lot more than 5.) Then around the time the King James Bible was finally gaining or surpassing the place of the Geneva Bible as the most used English Bible, there was the Great Plague of London which killed over 100,000 people (1665-1666). Surely that was judgment on England for abandoning the old Geneva Bible. This comment illustrates that sometimes, people will see connections where they want to see them. It’s hard reasoning with this mentality. For those on either side of the KJB debate, let us work toward a careful and calm interaction, not a conspiracy theory-driven mentality that frankly doesn’t edify anyone. **Picture adapted from an 1880 Punch cartoon, “The Nemesis of Neglect”, accessed at Wikipedia, 12/27/2010.